While I don’t think promotions that combine clothing and TV shows is classy whatsoever, I have to admit that the Fall 2011 Mad Men Collection for Banana is just adorable from start to finish. I also love a bunch of pieces not part of the Mad Men line. I think the collection is old school yet feminine and fun. I can’t wait to purchase some of the skirts/dresses/coats this coming fall. I’m working on making dishes with various vegetables I never have before – i.e. I’ve been making Taylor concoctions with leeks/kale/baby artichokes this summer… In case you’re wondering, I’m very proud of myself. 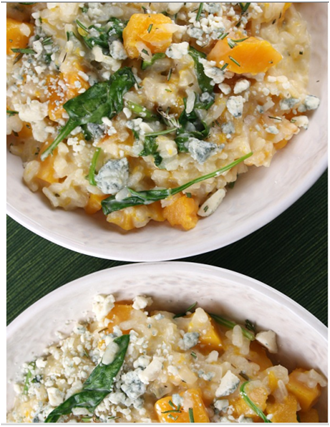 I think risotto is a cooking obstacle I may or may not be able to tackle this fall. I’d certaintly like to – it’s hearty…delicious…and easy to incorporate truly whatever you want into the dish. I’m thinking butternut squash, rosemary and scallops… Get back to me mid September. All Things Tartan – Duh. So in case you weren’t aware… I am partially Scottish. And, well, I spend most of my days with Scottish brand ambassadors for MMC clients The Glenlivet and Chivas Regal. I have a rough job, no need to rub it in #client. Regardless, I somehow lost my tartan skirt I purchased when last in Edinburugh – this makes me very sad. Hopefully, I can splurge on one nice tartan “something” this fall. It’s only fitting. Boy do I love me some leather jackets! I have one that I adore – it’s a funky Miss Sixty Bomber Black Jacket with a great collar. I’m now on the prowl for a new one — surely, it’s not necessary I purchase one but when in reality is shopping truly “necessary?” COME ON. I am digging a few different ones – I don’t think I’ll be able to branch out enough to get a tan leather jacket though, I must stick to what I’m used to…. any and everything BLACK. Ann Taylor, oddly enough, is making some great looking, semi affordable jackets for the fall. 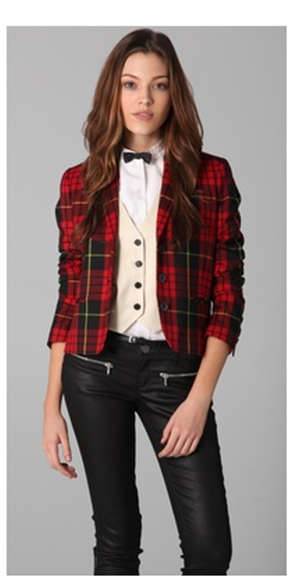 Also, I love some of the jackets being featured on ShopBop. I love Starbucks … well, let me rephrase that. 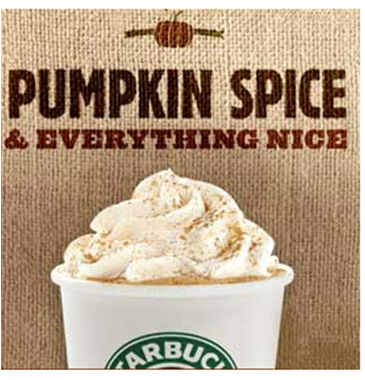 I love Starbucks’ seasonal options. I do not, however, like their actual coffee WHAT-SO-EVER. Who really does? If you’re one of the 10 people in the US who go to Starbucks for their “good” tasting coffee? Please rethink your life values, soon. Their Pumpkin options are just amazing — their hot lattes and their iced options. In addition, I love their Apple Cider and Hot Chocolate picks as we get closer to winter. These are funky. A bit obnoxious. Not work appropriate. I love them. I think this would match so well with a fun skirt and black tights with a chunky sweater. 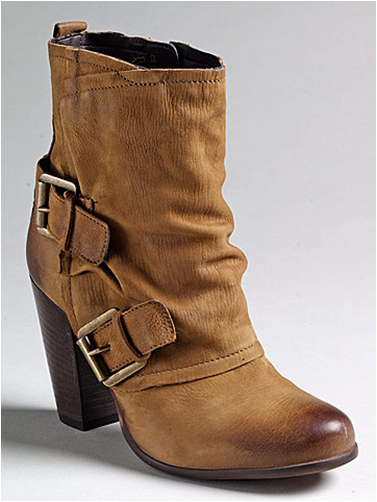 I think the Oxford heels never caught on in my book but these? These, I can most definitely work with. I think the shoes may also be hot with tight denim jeans and a white blouse. I’ve become SO addicted to sweet potatoes over the past year. Westville turned me on, specifically, to sweet potato fries. I DIE IN HAPPINESS. For some reason, I feel like these fries are so much creamier, tastier and less starchy than regular fries for the most part. I’ve been incorporating sweet potatoes into a bunch of my own recipes at home – most recently a chicken/feta/rosemary/penne/arugula dish that I reworked from Eat Well With Others. 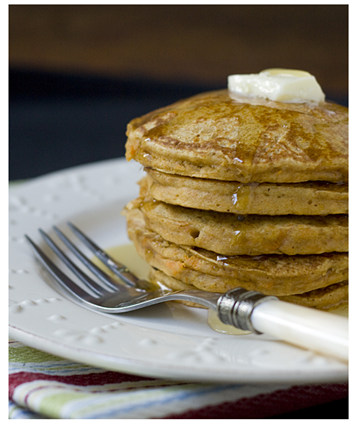 The recipe below incorporates sweet potatoes into weekend pancakes, gone foodie. I dig it…. BIG TIME. 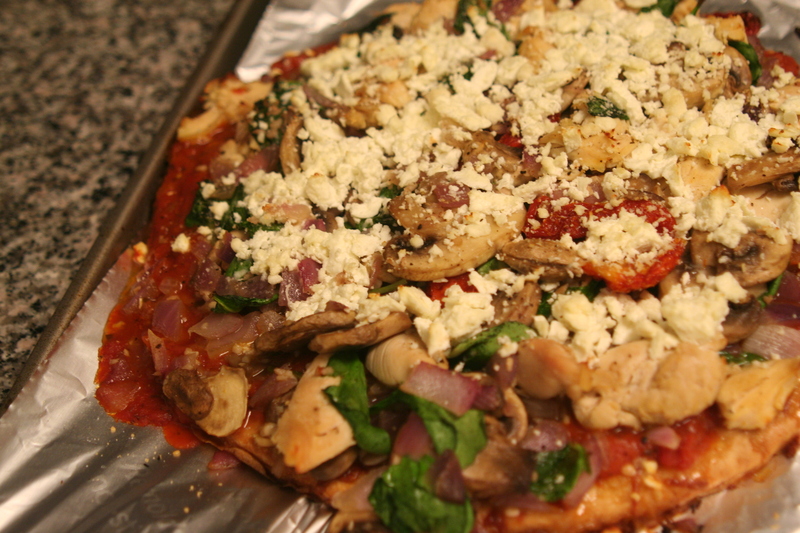 I’ve seen so many mouth-watering pizza recipes lately I couldn’t help but think it would be cost and time effective to give it a try. 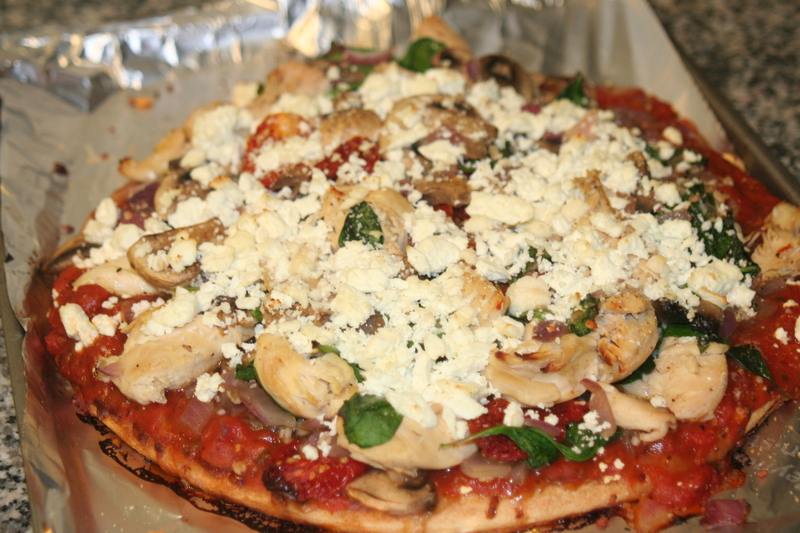 MIND YOU I have never made a pizza – yes, laugh all you want. I have, however, made countless batches of pasta in the past so have no fear. As per usual with my odd cooking ways, I didn’t follow any of the delicious recipes I found online and thought to go with what I was in the mood for. When are you NOT in the mood for feta? Let’s be serious.